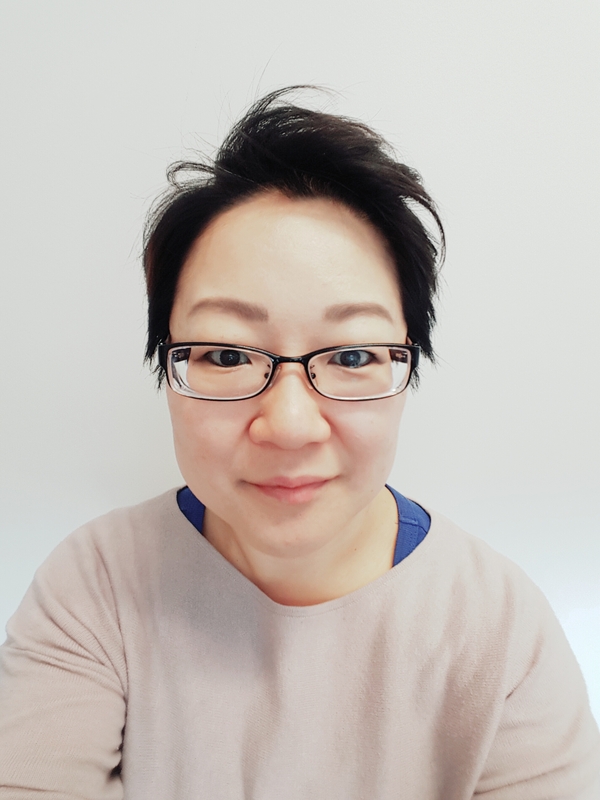 Laura Yoo is a HoCoPoLitSo Board member and Associate Professor of English at Howard Community College. This is a story of a prodigal daughter. At the beginning of the summer, I made big plans. A long list of books I wanted to read. Big goals. Ambitious. I would read, read, and read some more. I had books to read. And I had the time to read them. This summer, the room we call the “reading room” in my house was used to get away from the children to watch stuff on Netflix on my tablet with earphones shoved into my ears. I am ashamed. Fail. Major fail. So, clearly, I needed help. And help came on September 13th in the form of a very wild Wilde Reading. Organized by Laura Shovan, Ann Bracken, and LindaJoy Burke, Wilde Readings launched its first open mic night with featured readers Jen Grow and Le Hinton. An audience of about 30 gathered in one of the art studio spaces at the Columbia Art Center, the same space where my son had art summer camp. It was comfortable, friendly, and intimate. As Laura told us, though there are many wonderful literary organizations, publications, and events in Howard County, a place for writers to come together and share freely and informally had been lacking for many years. And Wilde Reading’s inaugural event demonstrated the very reason such gatherings are needed: it created a collage of unique, diverse literary voices. Each time a reader went up to the podium, you just didn’t know what you were gonna get. Jen Grow’s short story about a daughter and her dying mother just about killed me. Before she read, Jen promised to go for the jugular – her words – and she didn’t miss. I was relieved and astonished at the same time when Jen ended by reassuring us that her mother is still living, that the story is indeed fictional. I thought, how can one create a story like that – so moving, so real, and so visceral – without actually having lived it? Even if one had experienced it, telling it in such a powerful way would be a difficult task. I suppose that’s why poets are artists, creators. Le Hinton’s reading was enhanced by a tactile experience he created for the audience. He passed around cotton blooms for us to feel between our fingers while he read his poems on the motif of cotton. When he read an autobiographical poem about doing math lessons with his father, he passed around Tootsie Rolls for us to enjoy. The taste of chocolate in our mouths transported us to that room with that little boy, his father, math lessons, and Tootsie Rolls for reward. The open mic readers included Jan Bowman and Michael Ratcliffe, two writers who will be featured in future Wilde Reading events. The open mic evening ended with a powerful performance by Analysis the Poet. While the voices of the evening were divergent and their subject matter so varied, together these writer-performers created a one-of-kind literary sound. And that sound, that experience can never be recreated again. I feel lucky to have been there to witness it. This Wilde Reading invited me back to the written word. It pushed me around a bit – from one emotion to another and yet another – and left me wanting more. And more I shall get – on October 4th with Jan Bowman and Derrick Weston Brown as featured readers at the second Wilde Reading. Inspired by this Wilde Reading, I did something different today. During my son’s 45-minute swim practice, instead of browsing my Facebook page or taking quizzes on Buzzfeed, I opened a book: Roxanne Gay’s Bad Feminist. And I’m in love with the written word again. Thank you, Wilde, for welcoming back this prodigal daughter. By Laura Yoo in Mana's Musings on September 16, 2016 . Thank you for your wonderful description of the event, Laura. I’m so glad you were there and that this series is underway.